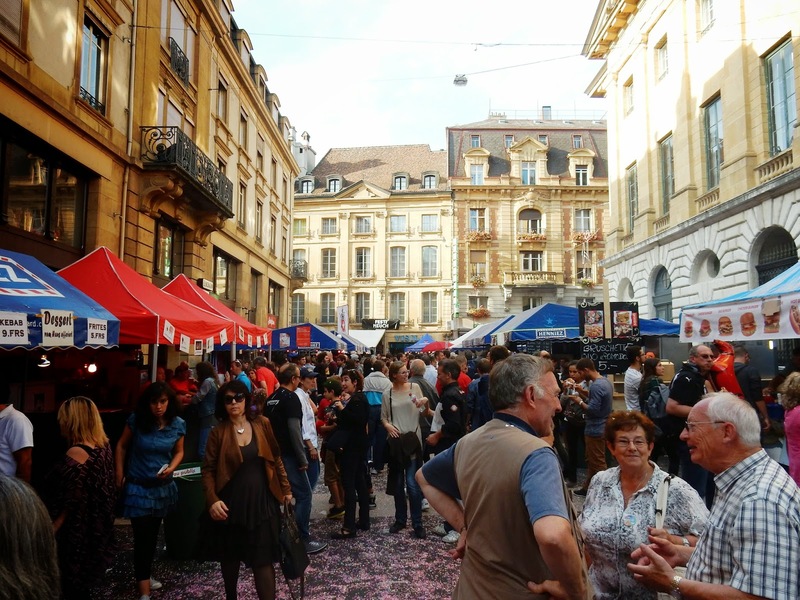 The weekend of September 26th to the 28th was a festive time in the Neuchâtel area. 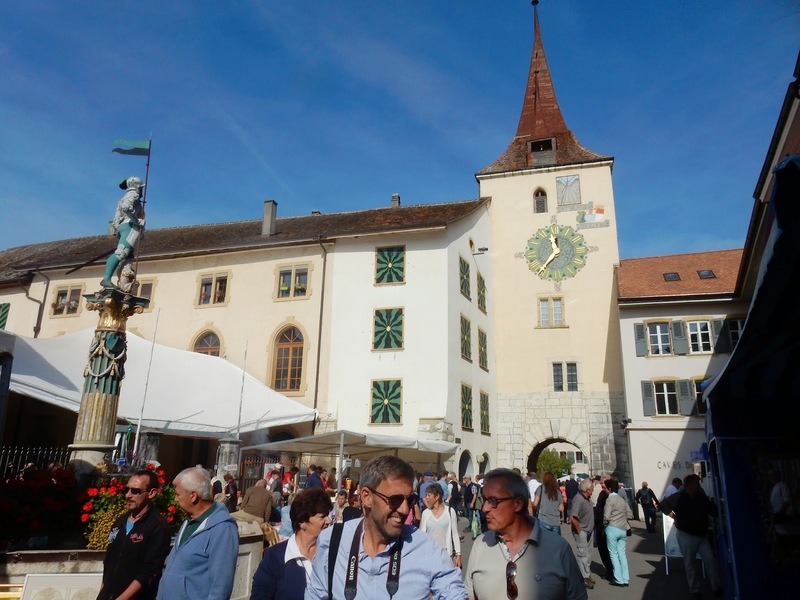 The famous Fête des Vendanges, which spanned all three days, is well known throughout Switzerland, but it was my least favourite of the four events I attended. I preferred the quieter, quainter Désalpe in Lignières, which lasted only a few hours. But more on that later. 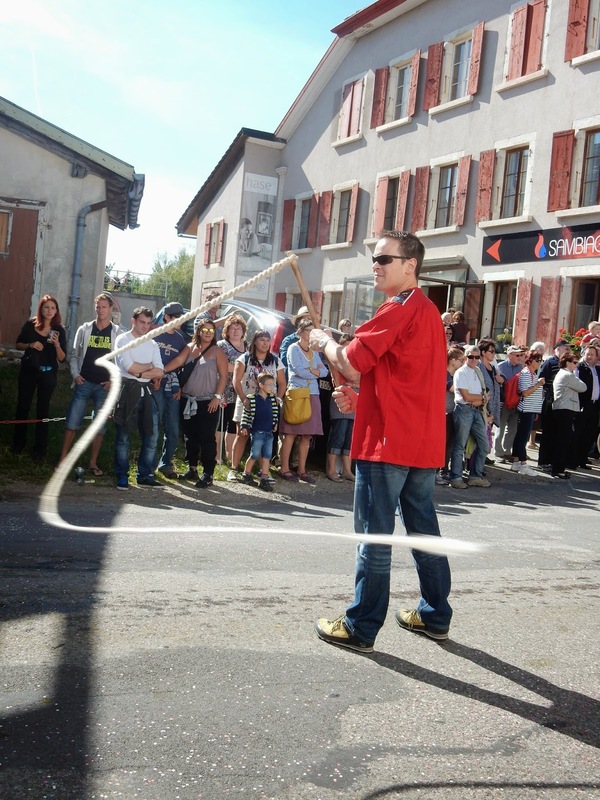 La Fête des Vendanges ran from 18:00 Friday evening until about 23:00 on Sunday. 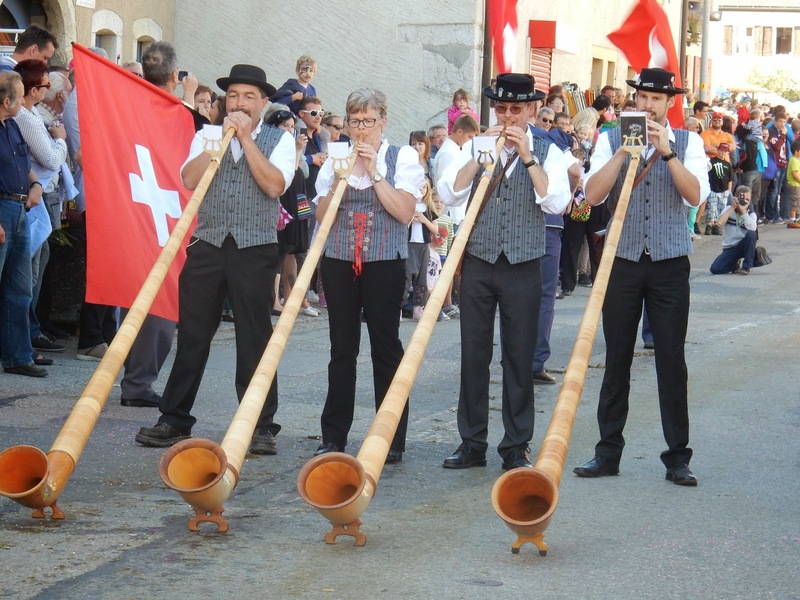 Originating as a celebration of the fall wine harvest, it has been transformed over the years into a weekend for the usually reserved Swiss to break loose and party. The narrow streets of the old town are made even narrower with the erection of booths selling all sorts of food and a wide selection of libations. I have never seen so many people drinking openly in the streets! (And I was there only on the quieter days of Friday and Sunday.) 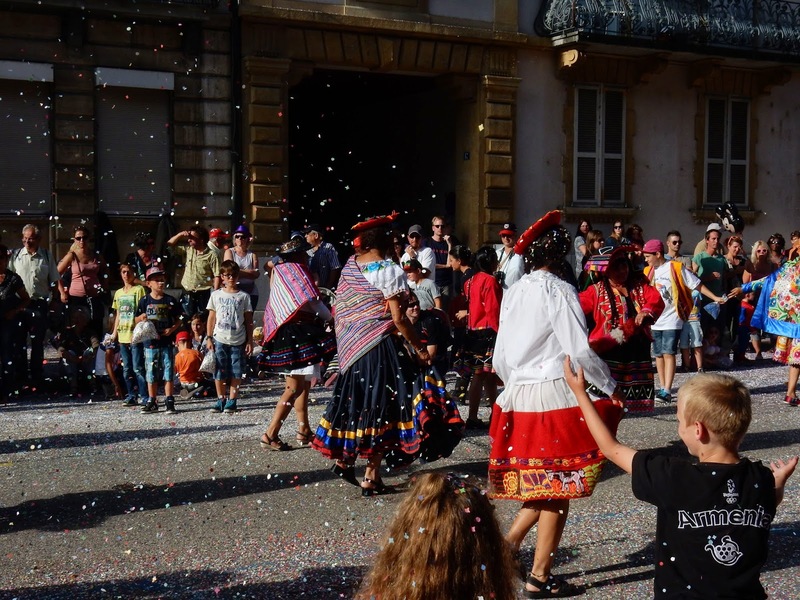 To add to the festivities, local children - and many adults - throw confetti on passersby and into cars. By the end of the weekend, the streets are completely covered. 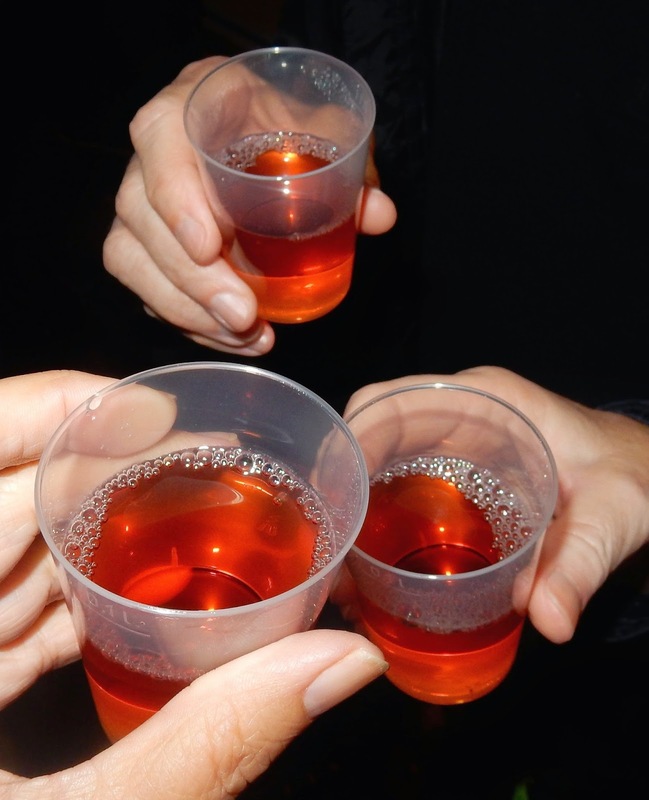 Three of us celebrate the Fête with some local rosé. Santé! 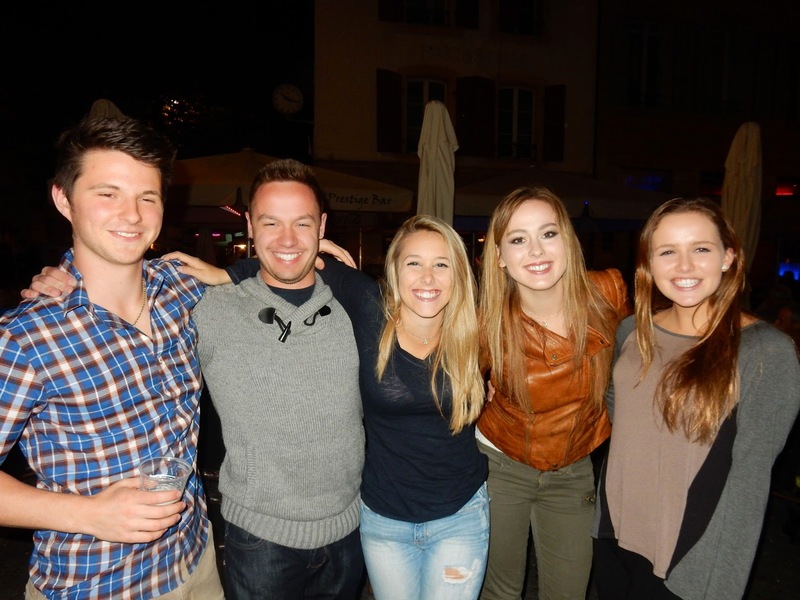 Jack, Tom, Jamie, Katie and Tori look to be having a good time. 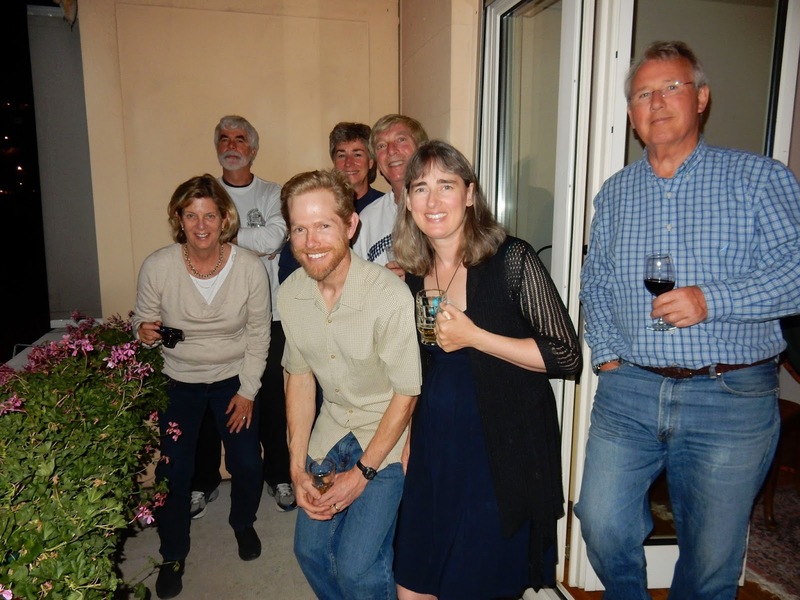 On Friday evening, Bill and Dan led a group of staff members and their visitors into the fray. At one point, the streets were so packed that we were pushed and shoved into one direction or another as we attempted to get through the crowd. What should have taken a minute took us five! The crowds did not bother our students, however. Many of them found the dance tent where a DJ fuelled their energy, while some enjoyed the midway, and still others just walked around taking everything in. 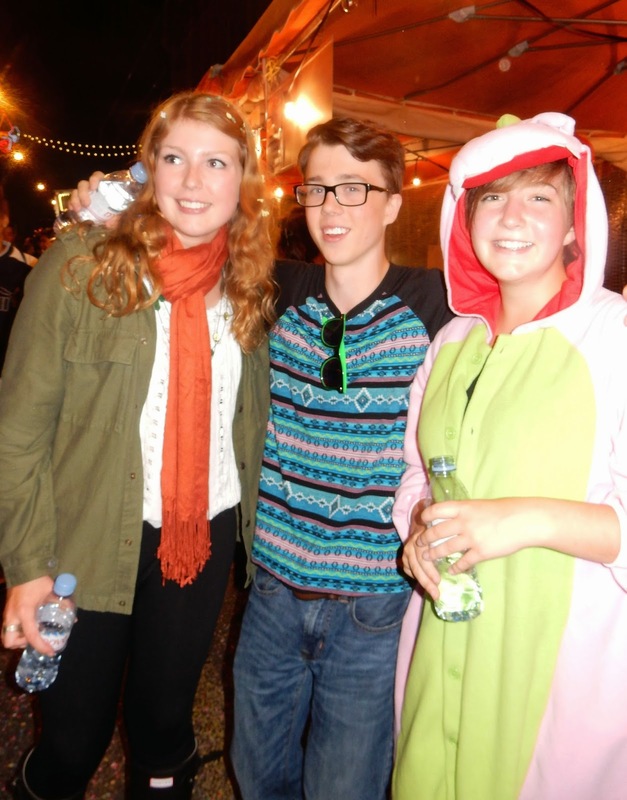 Hayley, William and Reilly - in costume - enjoying the Fête. Inside the dance tent. That's Bill on the right. On Sunday, Bob, Dan and I returned to the Fête in the late afternoon. This allowed us to catch the tail end of the two hour parade, pick up some street food for dinner, and take some more pictures. 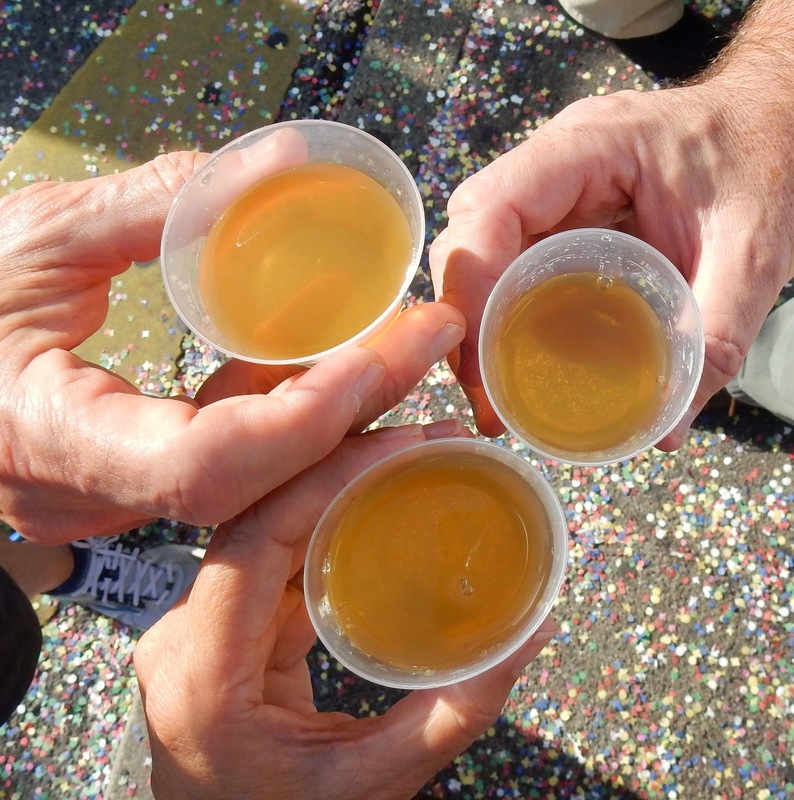 Dan, Bob and I sample some "moût", grape juice on the way to being wine. On Saturday, the entire school group and many alumni who were visiting the city for Homecoming, headed by bus to the small village of Lignières to view the Désalpe. 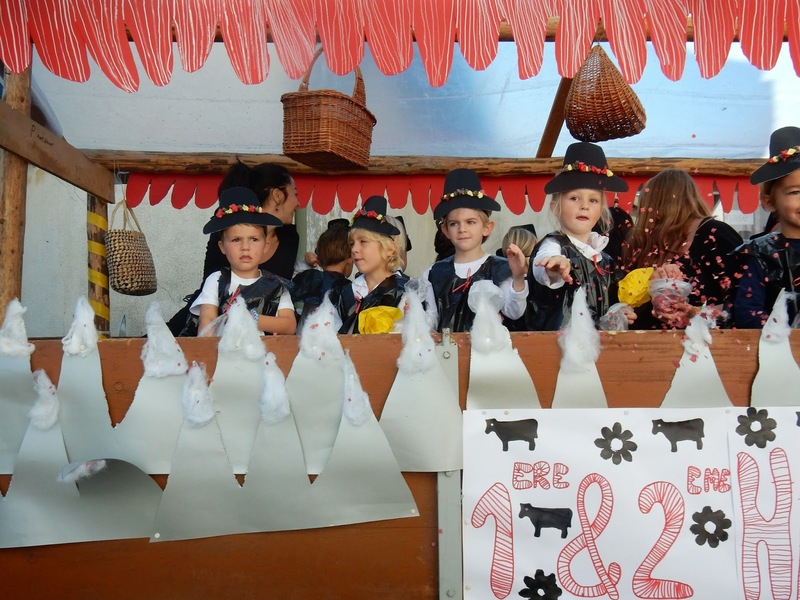 In the fall, many alpine communities in Switzerland celebrate the descent of cows which spend much of the year grazing at high altitude. 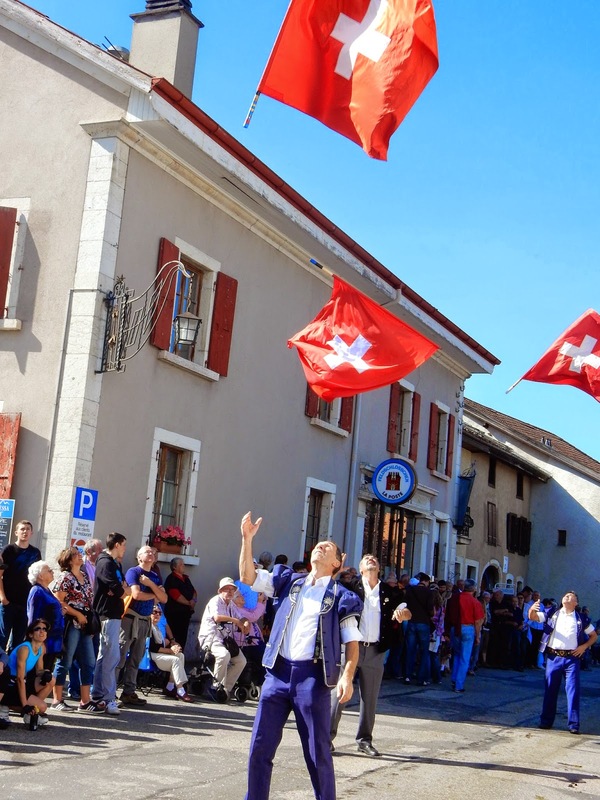 The dates vary from village to village, but we were fortunate that there was a fête so close to Neuchâtel on this day. Solène and Sarah came dressed for the occasion. These cows lead the parade. 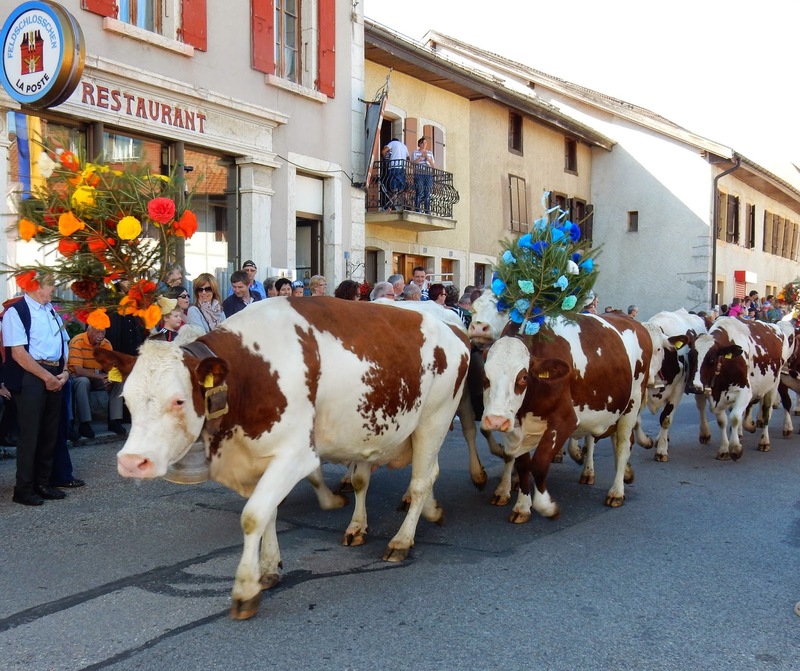 Some 30 minutes away, Lignières is situated high up in the Jura mountains, and it seems that the entire community of 1000 was involved in putting on a parade for visitors. I loved this event! 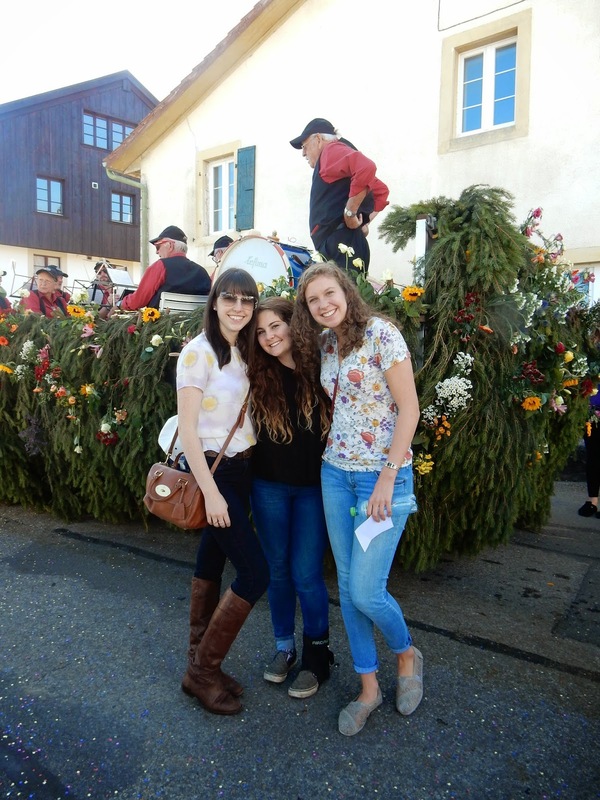 It was utterly charming and stereotypically Swiss. These folks played us a tune. 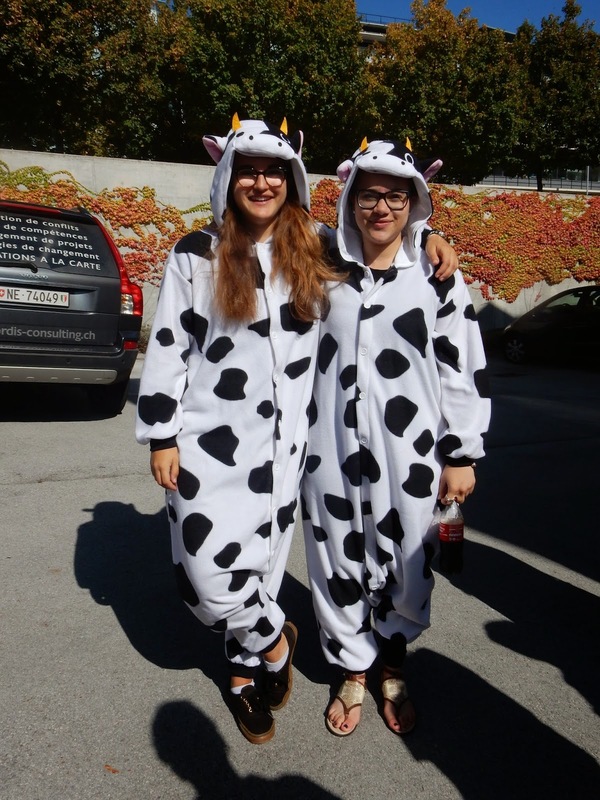 We saw cows adorned with flowers and laden with enormous cowbells; two quartets playing the Alpenhorn; men in the traditional Swiss farmer's shirts twirling lengthy ropes until they cracked like whips; another group of men spinning and tossing the Swiss flag; costumed men and women dancing in the street; floats with children throwing confetti our way; and older students parading in cheese costumes, or pulling wagons full of local produce. This guy cracked the whip right in front of me! The parade passed by us twice, another delightful twist, so if we missed anything the first time, we had a second chance to view the procession. This was a true family event too, one to which the staff could bring their children. 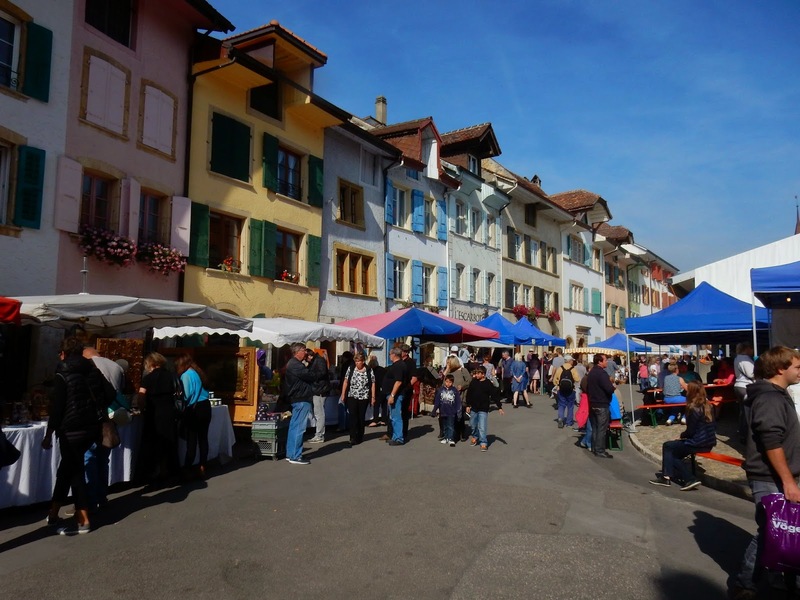 Lignières is our accountant, Sandra's, home town, so we were given a tour of her horse barn, and met her husband and parents; we also met Sarah's husband and two young children who came from Bern to see the Désalpe. 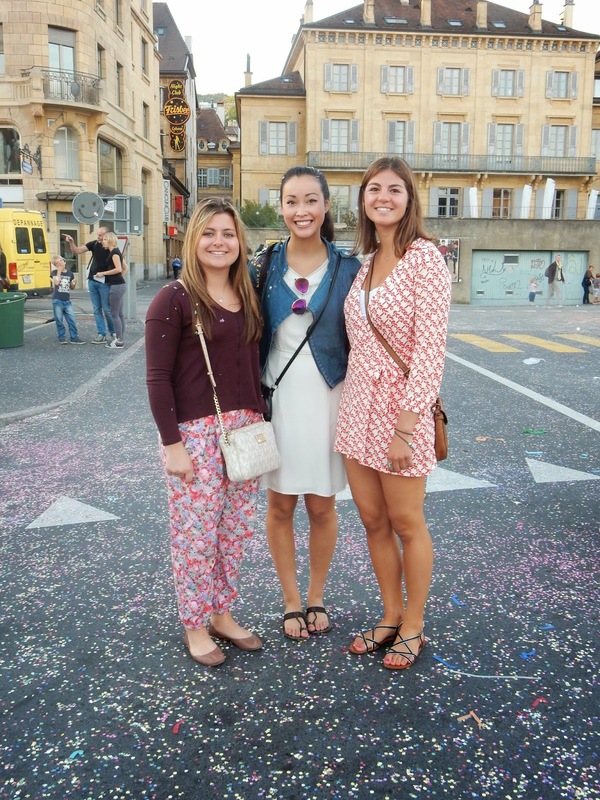 On the evening of that day, we were invited to another fête, Beth's birthday party. She and Aaron hosted Paul, his wife, Diana; Terry, his wife, Pam; and Bob and me. We had the best of both worlds that evening. 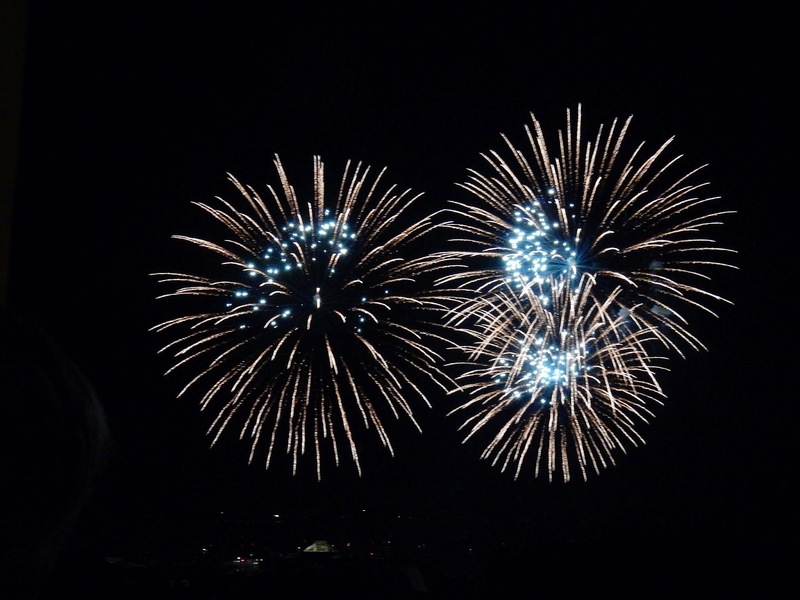 We were able to enjoy the 45 minute fireworks display from their balcony - spectacular show - without having to wade through the crowds at La Fête des Vendanges. 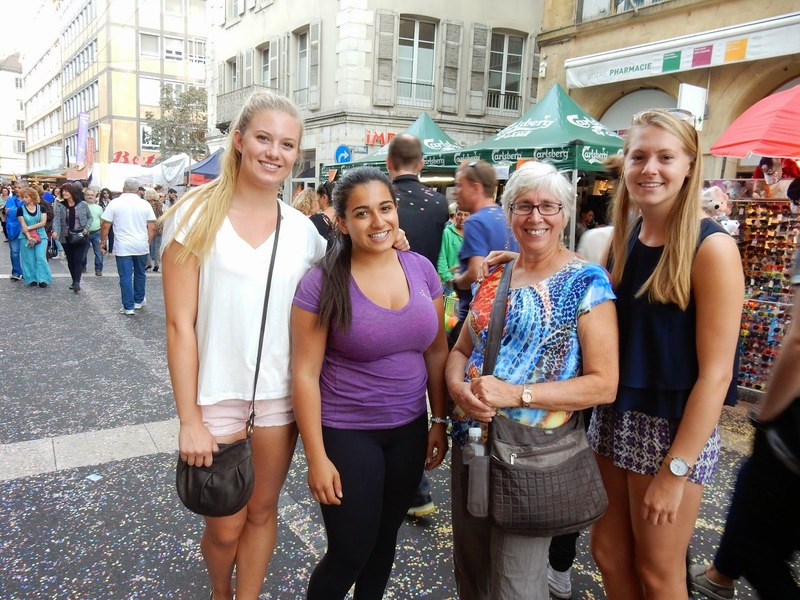 We also enjoyed each other's company; all of us are new to Neuchâtel and have been so busy with our work lives and adjusting to life in Switzerland that we have spent too little time together. The evening was made more special by the fact that Diana and Pam were in town for a short time, visiting for the fête weekend. Aaron had made cupcakes, to which he added some crème glacée. We sang "Happy Birthday" to Beth and felt like a family. Party on Aaron and Beth's balcony. The birthday girl is in the foreground. 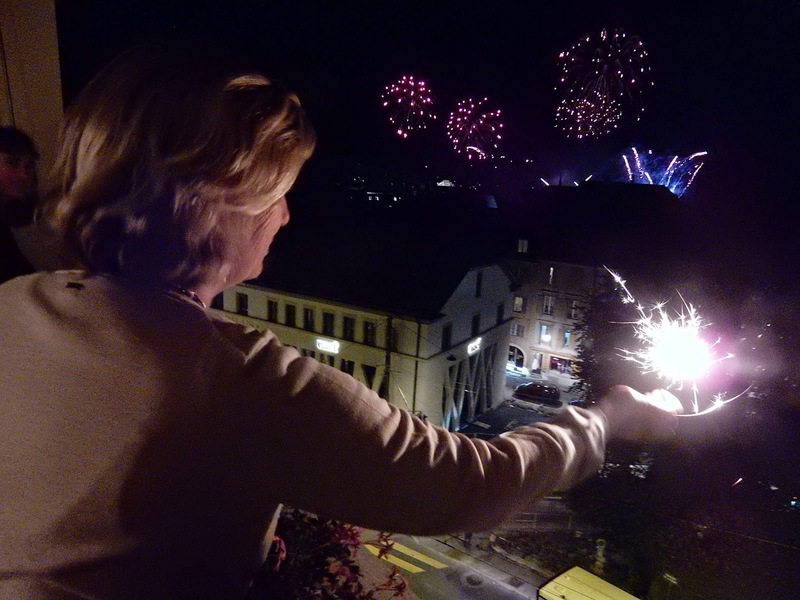 My creative shot: Diana, a sparkler and fireworks. We were not finished with big festivals yet! 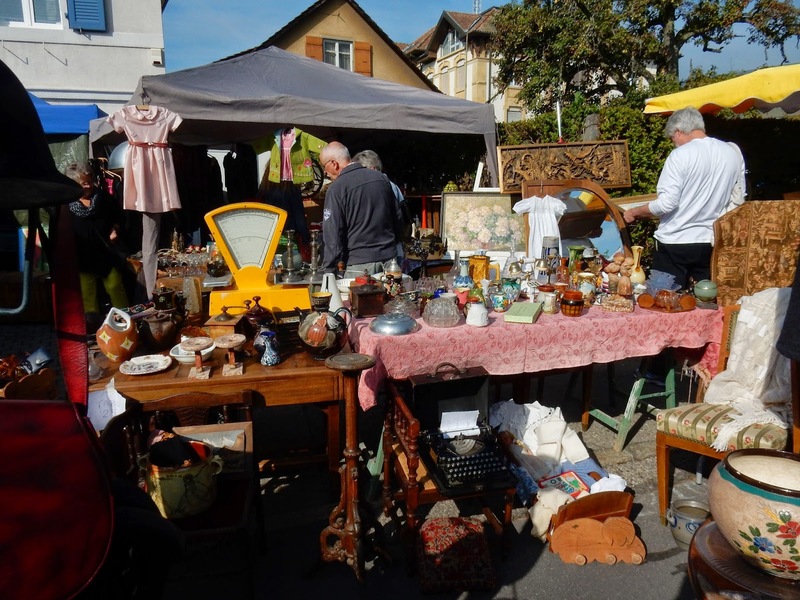 On Sunday morning, Dan picked up Bob and me and drove us to Le Landeron, 20 minutes away, for the biggest "brocante" in Switzerland. The entire small town was filled with vendors selling antiques, collectibles, crafts and junk. It took us about an hour and half to explore the bargains available; we both found things we liked at good prices. Bob picked up two attractive oil paintings - framed, while I purchased some silver earrings and a porcelain pill box. In spite of the crowds and the booths, the beauty of this town shone through. It helped that the day could not have been lovelier; in fact, the whole weekend was sunny and pleasant. 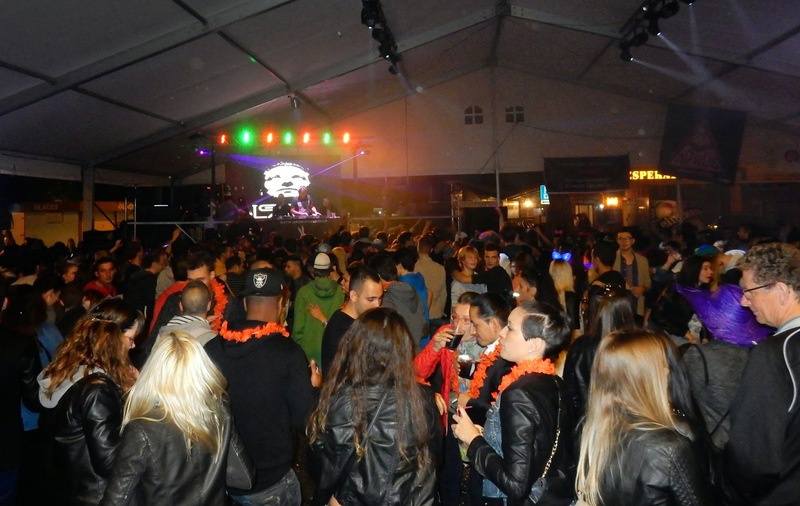 The weekend of Fêtes was extremely busy, since we were on the go most of the time, but it was great fun too. I had to go to work on Monday to rest!